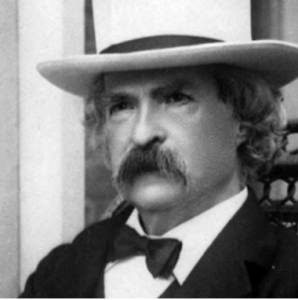 MARK TWAIN’S BANKRUPTCY | Jeffrey B. Irby, P.C. Twain enjoyed financial success from his writings and lectures, but he lost money in business ventures. Specifically, he attempted to create his own publishing house, and he invested too much money in the Paige Compositor, inventor James Paige’s failed attempt to innovate an automatic typesetting machine. In 1984, Twain was forced to le for bankruptcy after running out of money. He later chose to pay all of his pre-bankruptcy creditors in full, despite having no legal obligation to do so. When Twain died in 1910 of a heart attack, his estate was valued at $471,000, which is about $12 million in today’s dollars. That said, Twain was not a great businessman, and his history reflects this. He was, however, a prolific writer and speaker. Bankruptcy could not take this away from him. Here is the lesson to be learned from Mark Twain: Whether you le for bankruptcy or not, your strengths are still your strengths. Whatever makes you great still makes you great. Just as Mark Twain continued to be a great writer and orator, you continue to be who you are. And just as Mark Twain is defined by his successes more than his failures, you should define yourself by your successes rather than your failures. Remember, this is just one step in a journey of many, many steps.